This is the first in a series where I'll be reviewing a App Marketplace based on my experience from app development to launch. For this first app marketplace review I'm taking apart the Slack App Directory. Publishing my app in the Slack App directory has been by far the best experience from all marketplaces. Slack offers an extremely well executed development and app submission process for developers. Slack is a tool that allows teams to communicate in a way that is a crossover between IM and email. Slack claims over eight million daily active users, in 50,000 teams (May, 2018). The Slack App Directory was launched in 2015 and has grown to over 700+ apps (Oct, 2017). 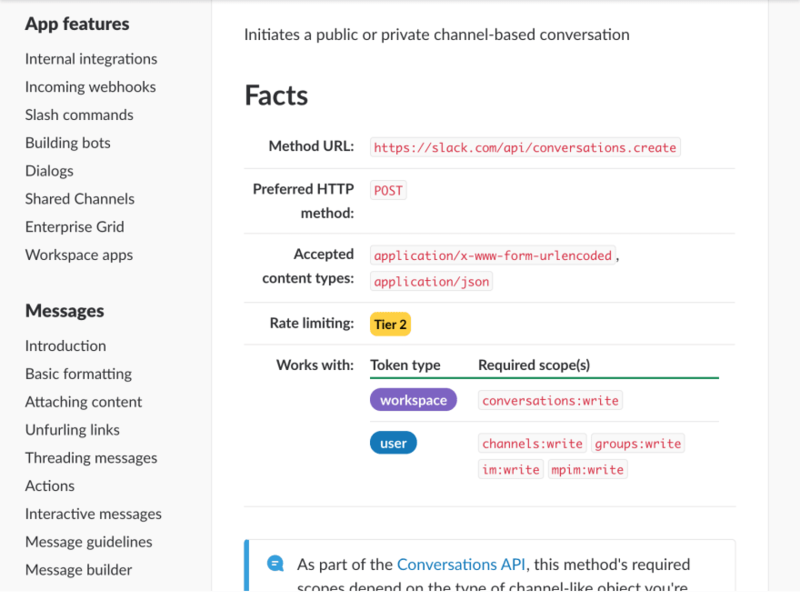 Apps can be deeply integrated into the Slack client with an extensive API. The most common usage is implementing (chat)bots. 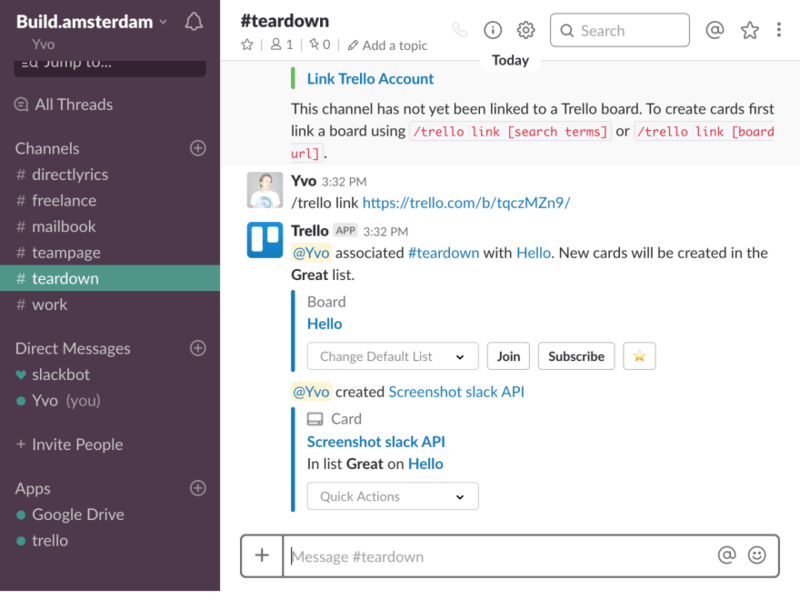 Trello example: I can add tickets to my board from within Slack with their chatbot. 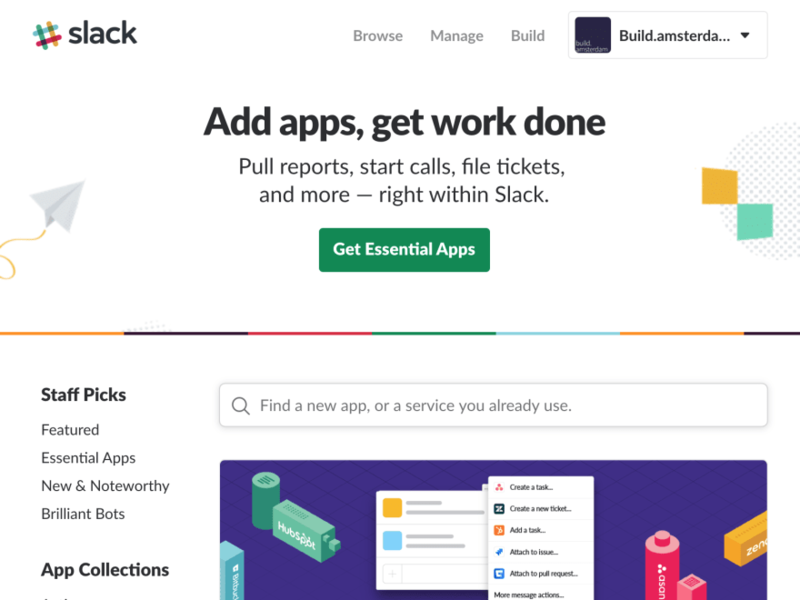 Slack shows to be highly committed to their apps ecosystem, inferred from their widespread marketing of apps, ongoing development (recently launched Actions and Workspace apps), investments (e.g. 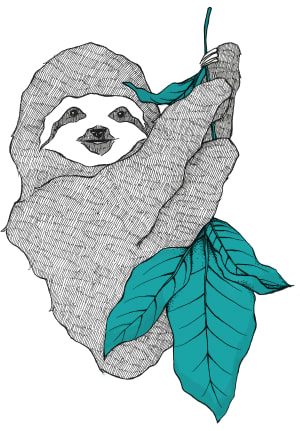 $80M Slack Fund) and extensive communication (e.g. documentation, public roadmap, Twitter). 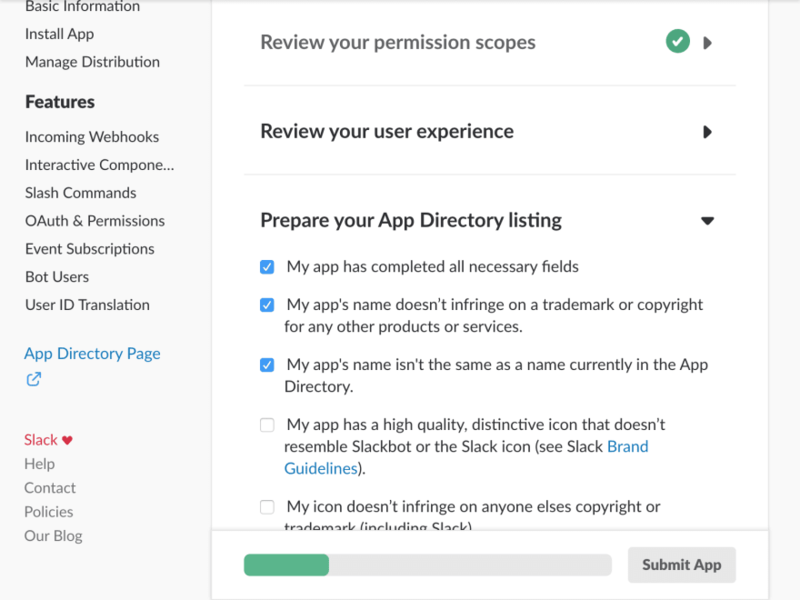 Request: Is your app listed in the Slack App Directory and thriving? Share your experience with me. Marketplace: Access to millions of users? Slack names its app marketplace the App Directory. The App Directory is easily accessed from the main Slack client. Every team (a group of users) can install up to 10 apps for free. Only users on the paid plan can install more apps. Which, is reported to be over 3 million users (37% from DAU) - unfortunately more statistics on how many teams pay, or app usage are not made public. Get Essential Apps, that is a strong CTA. The marketplace UX and UI is really well thought out. It's visually appealing and the apps presented look fresh (unlike say the Chrome Web Store). The main page app selection emphasises manual app curation, with on top the section Staff Picks (split into Features, Essential and New & Noteworthy) and for each app category Top Picks stand out that highlight 3 curated apps. Compared to other marketplaces there is no clear distinction between free, freemium or trial apps. Slack suggestion: The marketplace should add a clear distinction between free/paid apps, which would help filter out users who don't have the budget to pay for apps. Also it isn't clearly labeled who the app developer is, or whether something it is an official app. Also missing are user ratings (unlike say Shopify) or app reviews. In my opinion both important details for users to see before installing an app - and allowing that app lots of potential invasive permissions. Staff Picks list curated apps, and every category also highlight a top 3. Apps are listed by logo, app name, and a single line description. This gives room for relatively many apps to be listed (30) which is easy to scan and makes an appealing layout for app discovery. Paging only allows for next/back, which makes it hard to navigate for users. The ordering can't be changed when browsing (unlike searching) which makes it harder to discover the newest apps. A big plus; listings are not dominated by major brands like Google or Apple, which gives startups and (indie) app developers a bigger chance to get noticed. Search works well. The UX & UI include search autocomplete, keyword highlighting, single line results and endless scrolling results. How app listings are ranked is unclear to both the user, as the app developer. There are no statistics shown. I presume it is based on number of app installs. It would be great to be more transparant in how the ranking works, especially for developers. Well designed, but maybe a bit too clean? The app page is also well designed: clean, with a large app logo and a distinct CTA button (“Visit site to install” or "Install") asking the user to install the app. Screenshots are central to the app page. You can include Youtube videos, but the video thumbnail is a very low quality (my support tweet). App description are bit too limited in visible space, and have to manually expand/collapse. App permissions are clearly outlined, and very readable for users. But there is no visual distinction to what extend each permission impacts your privacy. Unfortunately no install or usage stats available. Other details missing are; pricing, app developer details, and user reviews or ratings. The installation flow is straightforward; Install ⟶ Authorise ⟶ App Landing Page. The App then has permission to access the Slack API for that team. Growth tip: If your app is installed, your app bot should send a welcome message with usage tips, which then appears to the users directly in the Slack client. 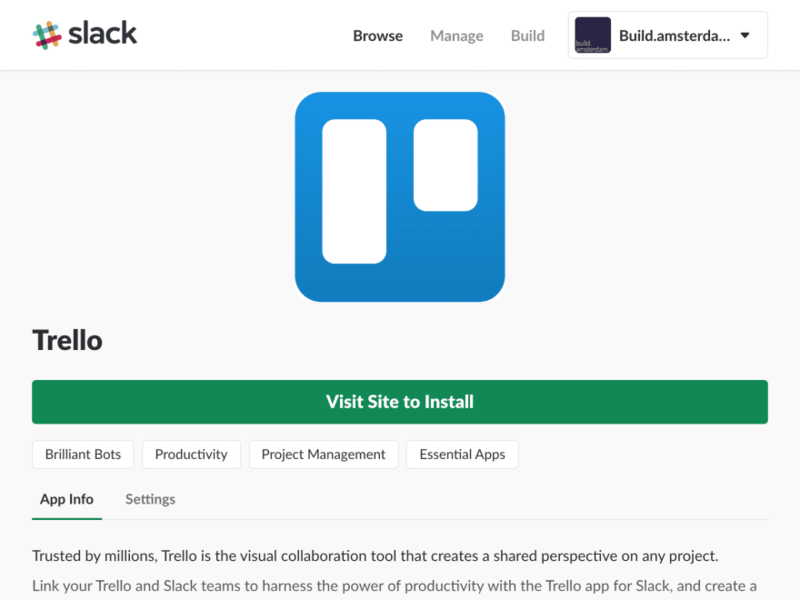 By default any team user can install any app for the whole Slack team. This lowers the barrier to install new apps. Which is a great feature. But for team admins this also means someone else can give permissions to allow an app to read the chat history, view all the member details, and more. Maybe the app page too clean? Dev tip: Before building, research similar apps in the Slack marketplace and see if - and how they sustain themselves (paid plans, viral growth, etc.)! The Slack API is mature and stable. Lots of methods are available, allowing access to almost anything you need. Webhooks work really well. Rate limits are generous. And oAuth 2.0 for permissions handling. I haven't heard of apps being killed or important endpoints deprecated (unlike Twitter) which are all good signs for a sustainable app ecosystem. One issue might be that there are so many options to hook into Slack, that if you start off developing, it is all a bit overwhelming. Dev tip: Research Slack in a team with several apps setup to get a broad understanding what make great touch points to build on. But all together - in my opinion - a very high quality offering for developers to start building on top of. This is how you do documentation people! The Dashboard is where you maintain your apps. The Dashboard is responsive, and contains key features to maintain your app, like your oAuth credentials. The Slack dashboard includes advanced features like revoking keys, admin 2FA, and multi-account access. Dev tip: One confusing bit of the experience is that you have to choose a Slack Team first, before you can create an app. Which quickly leads to apps vanishing if you are not signed in into that specific Team when you created the app. Advice, first create a new slack team only for your app development. Slack allows any app utilising the Slack API to get listed in their App Directory. The on-boarding is very well thought out, with a clear check list of 36 (!) items. The submission process takes you by the hand and demands you to confirm every checklist step that is mandatory before you can submit your app for approval. One submission quirk is demanding exact screenshot dimensions (1600 x 1000). Fixed screenshot dimensions are a pain (resize and handle cropping please)! Dev tip: Design templates for Sketch and Photoshop are available which is a great way to get started with the right font and dimensions. You can't preview your app page before submitting, which leads to unnecessary re-submissions due to for example typo's. It's also unclear if you can use HTML or markdown in the description, which I eventually found out to be a custom Slack markdown variant. Any change in the app details, needs a re-submission and manual review. Growth tip: Slack has huge SEO value, which they pass on in their directory, so make sure you link back to your website. The Slack app marketplace is quickly accessible from every Slack client. 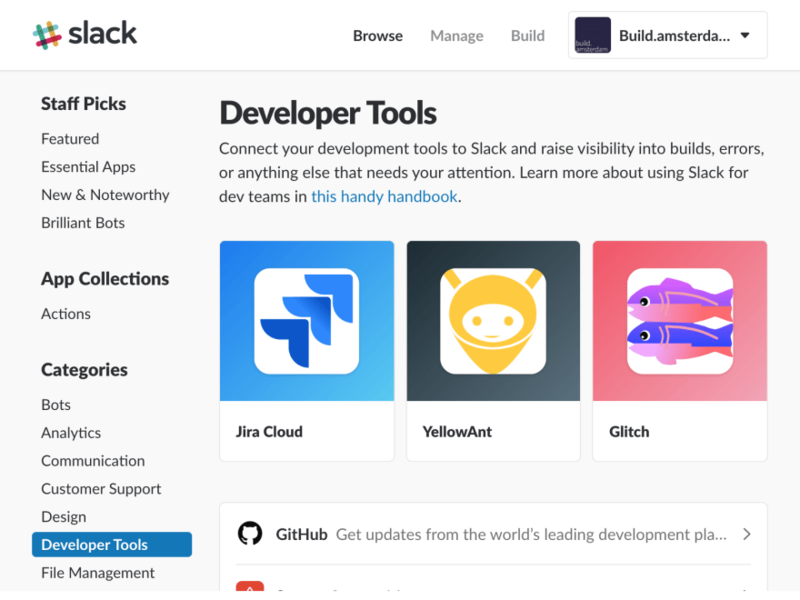 Although Slack claims 700+ apps, new apps can still get prime real estate in the marketplace because of the most visible positions are curated by their team. Growth tip: Get in contact with Slack's dev team to get featured. The actual Marketplace traffic is unknown, as is the number of daily installs it drives. I did find a mention of "more than 200 of them [apps] have over a thousand companies actively using them" (Jul, '17). It is hard to identify the amount of installs your app can attract by a marketplace listing alone. My general experience is getting your app in a store, won't make your business an overnight success (because don't expect Slack to make it a success for you). This goes for any app marketplace. So make sure your expectations are somewhat realistic. The app Standuply claims after being featured on the marketplace homepage "in two weeks [we] got 750 new signups". Which I think is not that impressive for the most visible position in the marketplace. Also Pull Reminders mentions a "trickle" of new users from the marketplace. There are no clear viral tools to grow your installation base beyond a single team, because Slack teams are independent silos, you can't cross promote your app between other teams. This makes your viral growth relient on word-of-mouth. Reach: You have an existing SaaS or app and want to grow your audience by integrating in Slack and reach new customers. These apps might find not much value. E.g. Teampage. Feature: You have an existing SaaS or app, and your users are on Slack and want them to be able to use your tool from there. E.g. Trello or Wetransfer.These apps are usually more mature, and have Slack integration as just another feature. Focus: You have an app custom made for Slack. In this case you have more opportunities to make your app integrate into the ecosystem, and get the added-value parts right. E.g. HeyTaco and Standuply.These apps are more invested to make it right, but also more dependent (and limited) on Slack to grow it. My experience: After getting listed with 3 category pages (e.g. Media & News @ #25). My listing hasn't driven any noticeable traffic & installs to date. Which after all the hype is disappointing. I must note my app has a minor Slack integration (importing team members), so results will vary. I've requested a highlighted spot, which is still pending (update: soon). Conclusion: Do you build for Slack? It's clear Slack is very much invested into their app ecosystem. Apps are tightly integrated into Slack itself. It gives room for both something mainstream as Google Calendar integration as well as something startup-y like smart Scrum bots. Anybody using Slack, comes across apps (anecdotal). From an app development point of view Slack is one of the best experience I've seen. Their marketing touch points create lots of opportunities for new apps to be discovered and installed. Also Slack should be open about app usage to drive more developer adoption. Developer success stories are limited available, and if you compare that with Shopify's "$162K is the average annual earnings for the top 25% of our app developers" there is much to gain here. Feedback: This whole review is experimental so let me know your thoughts or share to support future posts. Follow me on Twitter @yvoschaap. 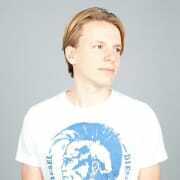 👋 Hi, I'm Yvo Schaap a 32 year old entrepreneur from Amsterdam who loves to code and build great things. See my professional annotated background. Get in touch at yvo@yvoschaap.com. This is an editorial review. I am in no way affiliated or paid by Slack. This was a great read! Really interesting information and well written.